The trailers and the Orange advert had built up my expectation for The A-Team. The reviews and past experience of remakes (I’m looking at you The Dukes of Hazard) had dampened my hopes. It starts out well – the origin story for the team is nice if a little light and sets up the characters in nice bite sized chunks for anyone who’d not seen the original. The Iraq sequence nicely echoes the originals crime they didn’t commit. The escapes are fun with enjoyable action which pretty much sums up the rest of the film. The performances are solid. Bradley Cooper and Sharlto Copley nail Face and Murdoch respectively. Liam Neeson and Quinton ‘Rampage’ Jackson might have benefited from playing Hannibal and B.A. a little bit bigger. There was one place at the end the special effects work could have used a little more work. The final dock sequence included several really obvious effects shots. Not as bad as the Die Another Day paragliding sequence but still obvious. Earlier stunt sequences, while having a suitably over the top quality, still had a human scale and included humans. Even the tank sequence which I’d been dreading since the trailer works. By making the end too over the top they had to resort to over the top special effects and in the process lost the essential human element. Fortunately it recovered by returning to a human scale at the end of the sequence. The only major annoyance was the soundtrack. I’ve talked about messing with themes before. It wasn’t a bad soundtrack but it’s lacking the essential element of the highly recognisable Mike Post and Pete Carpenter theme. If you’re going to replace a highly recognisable theme with something new you need to do something like the TV remake of Battlestar Galactica. You need to do something brave, daring and interesting. Then you top it with a nod to the original. There were nods but they were unfulfilling and the music in its place was sadly bland. 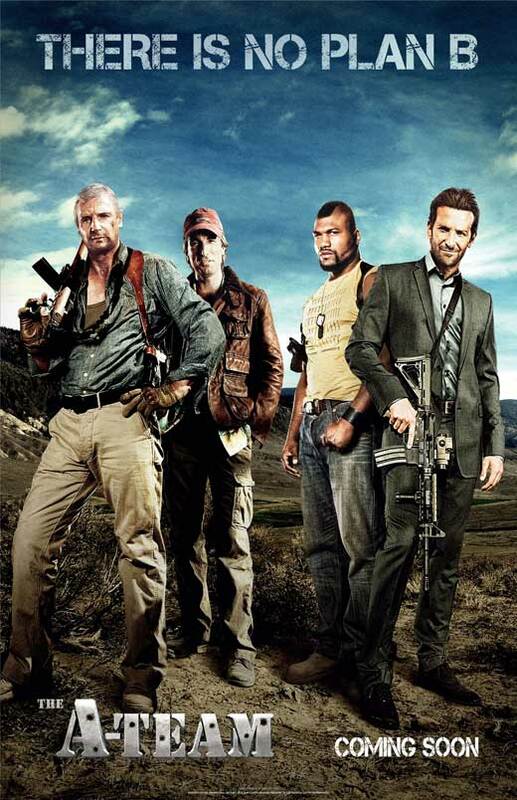 Overall I’d say The A-Team isn’t perfect it’s a pretty good stab at a work inspired by the original series. If there is a sequel please do us a favour and include more of the original music and less of the bland, safe soundtrack.